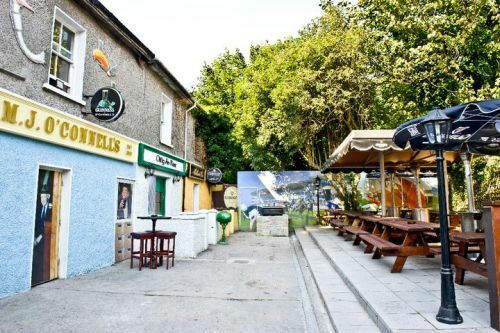 Since 2004 when the smoking ban was introduced in Ireland, Beer Gardens have been on the rise in Pubs throughout Galway City. 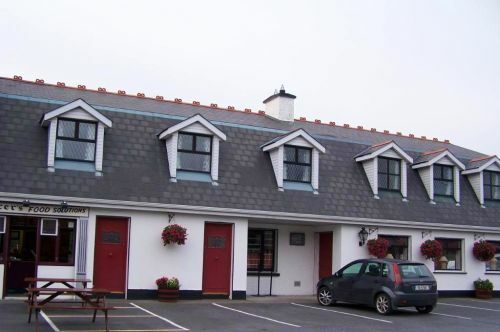 Although Ireland is a country not particularly suited to outdoor drinking many pubs have come up with innovative and novel ways around the weather conditions. 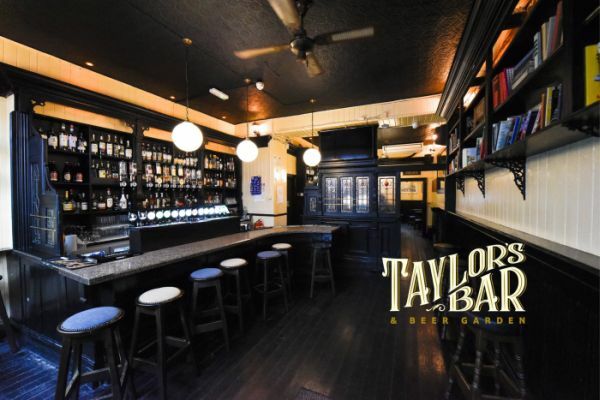 However because many pubs are so old and are also located in cramped City properties some have not had the room to put in smoking areas hence doorways and outside the pubs overflowing with smokers. Pubs located in the pedestrianised zone have been allowed to use parts of the street for outdoor patio areas and overall this has been a positive development. We now have a situation where we have three basic categories of catered outdoor smoking areas / beer gardens in Galway City pubs. The Pedestrianised Street patio area. Blessed are the pubs who can just pop some chairs out on the street when the weather is good. 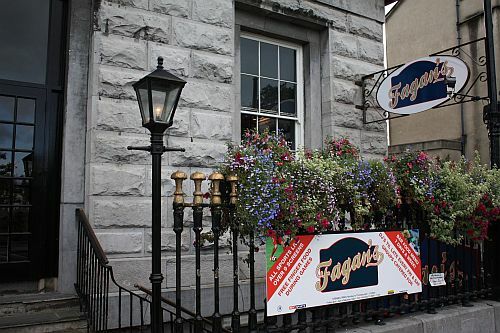 In Galway City pubs such as the Quays, Taaffes, Bazaar, Tig Coili and Freeneys are wonderful places to grab a seat outside when the weather is good. Salthill also has some good outdoor patios where although they don't have pedestrianised streets they have some wide footpaths which have been converted to patio use. Wooden Picnic tables, decking, sun umbrellas and maybe even some hanging flower baskets are all parts of what make up our idea of a beer garden. Like earlier mentioned due to the fact that many City pubs are located in valuable City Centre property they don't have any room to include a beer garden. However there have been a few Pubs who have cleaned up old yards and sheds and turned them into wonderful drinking oasis. Pubs a little furter out of the City Centre have had the luxury of more room and this is one area where many pubs in the suburbs triumph over the City Centre pubs. O'Connells- Part heated & covered and part traditional outdoor garden, O Connells have set a bench mark for all others in the City. Rabbittes- Again another back yard brought back to use. Decking, covered areas and beautiful historic stone outhouse make this another good bet for outdoor drinking. Jury's Inn bar- An ace up the sleeve of an otherwise mediocre hotel bar. 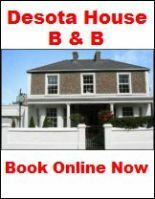 Huge area, real garden, nice clientele and great views make this a winner but definitely only on sunny days as no shelter. Crowes of Bohermore- Not one that would spring easily to mind to many Galwegians,Crowes has a great area hidden at the back where barbecues take place during the Summer. Mcalindens- Purely in here because they have put a TV in there and also some nice murals on the walls. The weatherproofed Quasi-legal heated smoking area. 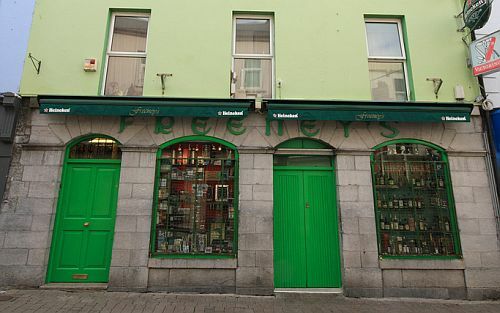 Somewhat weatherproof open to air areas have popped up in Galway since 2004 and some have been a major factor in increasing some pubs trade. Canopies, marquees and resourceful roof design have all been used to push the limits of the law and provide comfortable smoking areas for punters. Once again we provide 5 of the best. 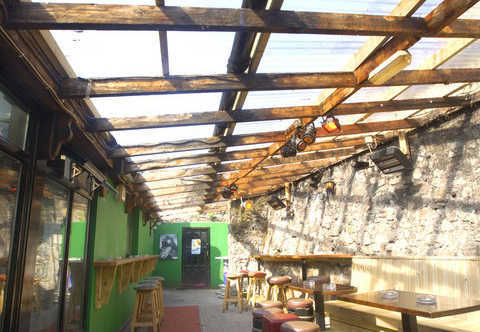 The Blue Note- An early innovator who have two of the best smoking areas in Galway within the Pub. The Dew Drop/Myles Lee- Am i really outside? Wonderful heated area that is often wamer than many pubs during the Winter. Also has a TV so its possible to watch the football, drink and smoke. The Front Door- Not one but two areas which are beautifully integrated into the pub and follow the decor of the rest of the Pub.